Fantasy Troubles Part III – Britain’s Superspies! “The majority of tactical intelligence gathered by the British Forces, the sort of intelligence that saw weapons and explosives captured, ambushes and attacks thwarted, (P)IRA volunteers and Active Service Units counter-ambushed, arrested or assassinated, whole regions of the north-eastern part of the island of Ireland closed down for days or weeks on end, was derived from the new modes of electronic and computer-coordinated intelligence, surveillance and bugging that were made possible by the advances in technology that began to make their presence felt in the late 1980s and ‘90s. British listening devices placed in phones, homes, cars, shops, pubs, regular meeting points, the use of long range, long term covert cameras (with real-time satellite and landline feeds), tracking devices placed on or into vehicles and other equipment (including guns and explosives), the widespread use of CCTV in urban areas accessible to the then RUC and the British Army, routine and co-ordinated communication interceptions and monitoring, indexing of suspected or known IRA volunteers and continuous observation of their movements, homes, cars, work places (and of their families, friends and work colleagues), all these techniques were what powered the cutting edge of the British war machine in Ireland. The central collation and study of data, thousands of individual facts and figures, over a period of months or years, and the redistribution of that data to those who needed to know it is what weighed heavy in favour of the British in the closing years of the conflict. “The refusal of the star witness, journalist Toby Harnden, to undergo cross examination at the Smithwick Tribunal in Dublin has thrown the whole inquiry into disarray and leads to questions about holding one in the first place. “In a now familiar pattern, the Garda/IRA story was first circulated by former low-ranking agents of the British army’s force research unit (FRU). Most Irish people saw the decision to extend the Cory investigation as a sop to Unionists – a perverse quid pro quo for all that Irish republican fuss about Pat Finucane and the hundreds of other victims of Britain’s dirty war. In the case of the two murders, for instance, FRU operatives say the formidable IRA units from north County Louth and South Armagh, which carried out the killings, were “riddled with spies” and that their favourite spy for Britain in the IRA, Freddie Scappaticci, knew all about these killings. This is pure fantasy; deadly IRA cells would have no need or desire to consult with anyone before launching this kind of attack – least of all a Belfast man like “Scap”. Territory is important in Ireland. [Freddie Scappaticci] was a member of a debrief unit that questioned IRA volunteers after certain operations and in certain areas. He was never briefed about upcoming operations. He was never in a so-called “nutting squad” and never in a position to walk into a particular area and demand prior details of an operation or the head of an IRA volunteer on a plate. Yet this FRU-inspired myth has become the accepted narrative. Indeed, as I pointed out back in December the exaggerated claims in certain quarters about the numbers and successes of British intelligence agents placed in the Republican Movement is less about the past war and more about the present war. As for Freddie “Scap” Scappaticci, the alleged deputy-head of (P)IRA’s Internal Security Unit (ISU), despite the tens of thousands of words written about him he remains as big a question mark as ever. His first name is Freddie yet the media frequently call him “Alfredo”. A serving volunteer from 1970 onward he was interned in 1971 and 1974 (along with his brother Umberto), and we are told that he turned traitor in 1978 after a personal dispute with a more senior (unnamed) IRA officer in Belfast. Shortly thereafter he was subject to a “punishment beating” by the IRA on the orders of this unknown superior, leading Scappaticci to walk into a local RUC paramilitary police base several days later offering up his services as an “informer”. Initially this was with the RUC Special Branch before he was “passed on” in the 1980s to the deliberately disingenuously named Force Research Unit (FRU), which controlled a number of British Army spies and agents in the Irish Republican Army (and at least one leading member of the terror squads of the British separatist minority). However other sources claim that Scappaticci became a double-agent after being arrested by the RUC in 1982 for a drink-driving offence and that he was immediately recruited by the FRU. Some have conflated both these events, while others have challenged the “foundation myth” that Scappaticci was attacked by fellow IRA volunteers as part of a personal vendetta (a vendetta that seems to have never gone beyond a story in a number of British newspapers since there is no further history of it), stating that the “beating” taken by Scappaticci was the result of a youthful, drunken fistfight, a dispute over military strategy with another IRA volunteer. Or that it never happened in the first place. It is claimed by the conspiracy advocates that the FRU facilitated Scappaticci’s rise through the IRA’s ranks by eliminating rivals and giving him a number of “successes” against the British Forces (in other words a section of the British Army co-operated in guerrilla attacks upon its own soldiers!). 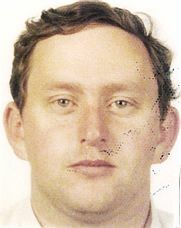 By the mid-1980s he was now second-in-command of the IRA’s security department (however, yet again, other sources claim that Scappaticci was in fact in command of the unit). This group, the ISU, was in charge of the IRA’s counterintelligence war: which primarily meant investigating some IRA operations that went wrong or were aborted in suspicious circumstances, individuals suspected or known to be agents or informers, the loss of munitions to “enemy action” where no reasonable explanation existed, conducting counter-surveillance operations or checks, and sometimes executing those convicted of “capital offences” in IRA courts martial. Many journalists (and some anonymous but much quoted “security sources”) have stated that the ISU “vetted” all new IRA recruits. This is untrue. It rarely acted in this manner. The ISU’s remit was largely restricted to the – frequently brutal – interrogation of suspected informers (and their families and friends) or people of a “dubious” background. Most individual IRA Active Service Units recruited their own volunteers (relatively) free of interference from anyone higher than brigade staff-level, usually based upon personal and family links or recommendations. The only real exceptions were in the case of the English Department, the IRA’s fighting arm in Britain and Europe, which was attached to the General Headquarters (GHQ). Yet even here the ISU’s vetting seems to have been mixed, with most volunteers being recruited from within the IRA’s existing ranks and through personal contacts or familiarity with senior IRA members. In any case by the mid-1990s the traditional command-and-control structures for operations in the UK were being increasingly by-passed with greater reliance placed on Special Service Units recruited and directed by the IRA’s South Armagh Brigade and associated personnel (which was not the first time that local IRA units in Ireland took control of attacks overseas). So, one wonders how much of this is simply disinformation, “black propaganda” designed to strike fear into the Irish Republican enemies of Britain, past, present and future? And how much is simply personal vendettas: disgruntled ex-spies embittered former employees and ego-boosting fantasists? Update 17/02/2012: There is more on this issue, and a very heated debate in the Comments section involving several of the people mentioned here, over at Slugger O’Toole. Superb Seamas…….go raibh agat !